Searching for a South Jersey electrical contractor for non-profits? D.P. Murt Co. Inc. is your solution. We’re conveniently located in Pennsauken, and we service and upgrade electrical systems in Burlington, Camden, Cumberland, Gloucester and Salem Counties. D.P. Murt is a family and veteran-owned business that has been serving South Jersey since 1985. 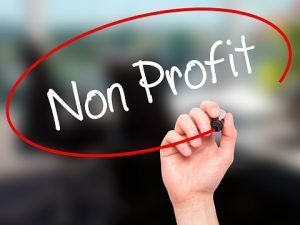 Non-profits need their facilities to comfortable and operating, especially when tending to emergencies as yours probably does. Since non-profits need to save expenses wherever they can, it also helps to have an efficient system that keeps energy costs down. We can replace your aging and inefficient systems with new, code-approved wiring, and we can also ensure that your current generators, switchboards, and other equipment is working as it should. D.P. Murt also offers green energy solutions and energy efficient lighting to help reduce both your carbon footprint and energy costs. D.P. Murt can handle any size repair and installation for your South Jersey non-profit organization. We handle everything from replacing new wiring to complete design and build systems. If you’re looking to expand or relocate, or fix your existing system, we can help…and we can work with you to meet your limited budget. If your South Jersey non-profit is looking to repair or improve your system and make it more efficient, contact D.P. Murt today or use this form to request a free electrical survey. We’ll show you how you can improve your system, save on costs, and let you concentrate on other operations. At D.P. Murt, we’ll handle the power, so you can handle the business.